Modern data center managers and operators are often assailed by fears of losing their jobs to the cloud. This concern has only become louder and more frequent with the rise of cloud-based data center management and technology trends like virtualization and IoT. With today’s data center customers preferring to pay as they go for fast, on-demand deployment of IT resources, it’s easy to think that the future seems grim for physical, on-premise data centers and the teams that operate them. As a data center professional, what can you do to futureproof yourself and your data centers in a world where cloud is king? Common suggestions often include career changes, like making the jump to a cloud company or training for a new position. But what if there was another way – one that elevates your role to that of a strategic partner, helps you better leverage IT resources, and ultimately enables you to provide better service to your internal customers? What if you could learn from the cloud and deliver the cloud-like experience customers want from your current data center infrastructure? Jennifer Cooke, Research Director, Datacenter Management, IDC, explored this topic and presented IDC survey research that supported the need for the shift to a service-oriented model in modern data center management. Titled “Five Keys for Developing a Service-Driven Datacenter,” the webinar also highlighted digital transformation trends and provided actionable advice to help data center professionals adapt to this new world. 1. Digital transformation places a workload burden on data centers. Digital transformation is about making better decisions – not just for your data center, but also for the business. For businesses, some of the key goals of digital transformation include improving the customer experience, gaining a competitive advantage by innovating new business models, and transforming decision making with technology. To achieve these goals, businesses need to amass and analyze a massive volume and variety of data. They gain data and derive insights from it by using technologies, such as big data, machine learning, cognitive computing, and IoT, which create significant workloads. Modern data center infrastructures will bear the brunt of this need to analyze data, leading to more resource-intensive workloads that will ultimately necessitate new IT investments. IDC predicts that by 2019, 43% of IoT data will be processed at the edge (closer to largely populated areas and outside of the domain of traditional data centers). To further meet the requirements of these new workloads, standardization, real-time remote visibility and control, and other disruptive technologies will become imperatives, not nice-to-haves. 2. Enterprise data centers are not going away, but they do need to adapt. Despite the shift to public and private cloud and a resulting decline in infrastructure spending for on-premise data centers, traditional enterprise data centers aren’t going away completely. In fact, organizations are running into certain challenges as they strive to take advantage of a cloud-driven, utility model. The biggest challenges, and the ones driving some enterprises to migrate back to on-premise data centers, are security and/or data privacy issues. Yet the fact remains that more organizations are turning to service providers. It makes sense; according to IDC survey data from the webinar, service providers experience fewer problems in the data center. These include common challenges such as downtime due to human error, performance and latency issues, and physical security breaches. So how can traditional data centers and their teams compete with the cloud? 3. Enterprise data centers need to learn from the cloud and adopt a service-driven model. There may be multiple reasons for the lower incidence of problems mentioned in the previous point. For services providers, the data center is their business, so it follows that they treat capacity planning and operational efficiency as core competencies. They also may be more stringent than enterprise data centers in terms of following upgrade and maintenance schedules and in standardizing their equipment. Their IT and Facilities teams also may collaborate more effectively. Enterprise data centers managers can learn these best practices from the cloud as they orient their infrastructure and management practices more towards customer service. Your goal should not be to provide the exact same experience as the cloud, but rather to improve processes, standardize equipment upgrades and maintenance, reduce human error, and work more effectively to create cloud-like resource delivery from a traditional data center. 4. Data center transformation requires coordination between technologies, processes, and people. Many of the facility items already in your data center – like intelligent rack PDUs, environmental sensors, meters – already generate massive amounts of data. Leveraging this data to make smarter decisions is critical not only to support your organization’s digital transformation efforts but also to transform your own data center. However, having the best technology or newest equipment won’t matter if you don’t have the processes and people in place to support it. 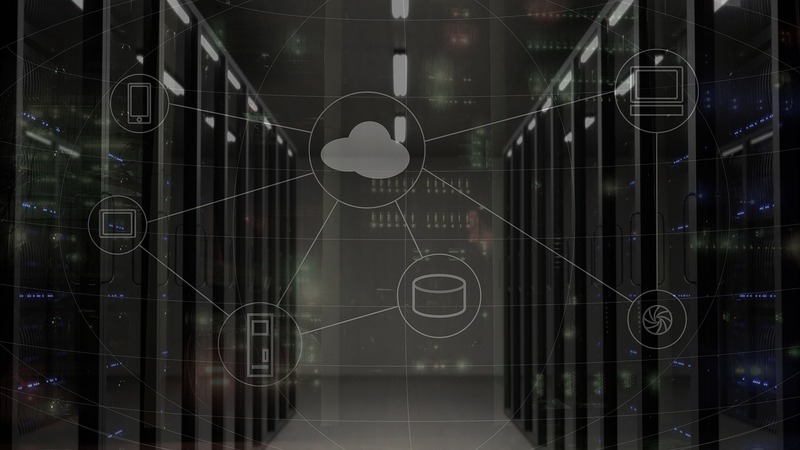 Data center management solutions like Data Center Infrastructure Management (DCIM) software can help you derive insights and value from this data and implement some of the best practices learned from the cloud. For example, DCIM software can enable more accurate planning for both power and space capacity, which ensures that you can deploy IT resources more efficiently. A comprehensive DCIM solution will also be able to collect the data from your data center and create visualizations for faster analysis. For modern data center professionals, the threat of the cloud may breed fear, uncertainty, and even panic. However, you can learn from the cloud and take appropriate action to give yourself the best chance to thrive – not just survive – in this shifting technology landscape. Want to hear in Cooke’s own words her insights on digital transformation and how data center professionals can adapt to today’s cloud-focused world? Watch the webinar recording now.